OUTLOOK offers our readers new articles on national ghettos – mass settlements of emigrants far from their homelands. The next step is the story of Southall, a suburb of London, which is much more reminiscent of Indian town. In the 21st century the notion of "national ghetto" has changed its primary meaning. It is obvious that districts and even entire cities, inhabited by same region comers, are quite open spaces accessible to anyone. At least it refers to all civilized societies. Nevertheless, mental remoteness and self-focused isolation of those settlements allow referring to them as some sort of "ghetto". Talking about Southall and Indians, it is impossible to avoid looking at history. After 1947, when their country gained independence, many Indians rushed to England in search of a better life. And apparently both local government and residents were happy about this fact, because during the Second World War the Great Britain was seriously damaged and needed additional labour force to restore a lot of objects. Back in the 50s Southall was an ordinary suburb of London where about 90% of the population was indigenous people, and gradually it began to get settled by the Indians who wanted to be closer to the capital. As a result, the country was restored, but almost none of the visitors wanted to return to their homes. In addition, there came their relatives, friends, friends of friends. 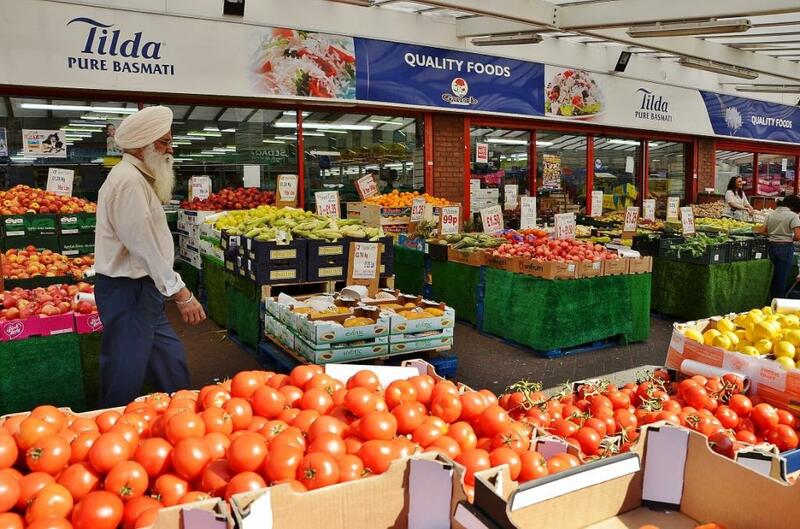 It emerged that thirty years later "whites" were a minority in Southall, and today they are a little more than 5%. It is very easy to get there: trains leave Paddington Station for Southall every 10-15 minutes. Trip to one direction costs 5 pounds, roundtrip ticket costs 8. And then, after some half an hour in a comfortable car, you get to the station, and when you get out at Southall Station, you will find yourself inside another dimension. Starting from the smell of spices and ending with inscriptions and pointers in Punjabi language. The usual London fuss is replaced by an Asian charm. Surrounding bright colours (from clothing to local signage) at first make one dazzled. Logic fails to believe that half an hour ago you could walk near Buckingham Palace and gaze at its famous guards, and now you are being watched at. Most of the Indians are peaceful and tolerant, but "outsiders" cause their natural interest, because they know everything about all the local "whites". Therefore, each guest must be "explored" in detail and on occasion hosts help visitor giving a hint where to find the most delicious vegan food. By the way, many Londoners come to Southall to take advantage of lunch, because it is 3-4 times cheaper than in the centre. The average bill in Southall for a nice dinner is 5-7 pounds. One need to be careful with food as everything is very spicy, because it is cooked "at local taste". Be sure to see the old bridge Wharncliffe Viaduct, which seems to be copied from the picture. More interesting is to look at the majestic temple of Sri Guru Singh Sabha Gurdwara, which is the largest outside Asia and well worth a visit. 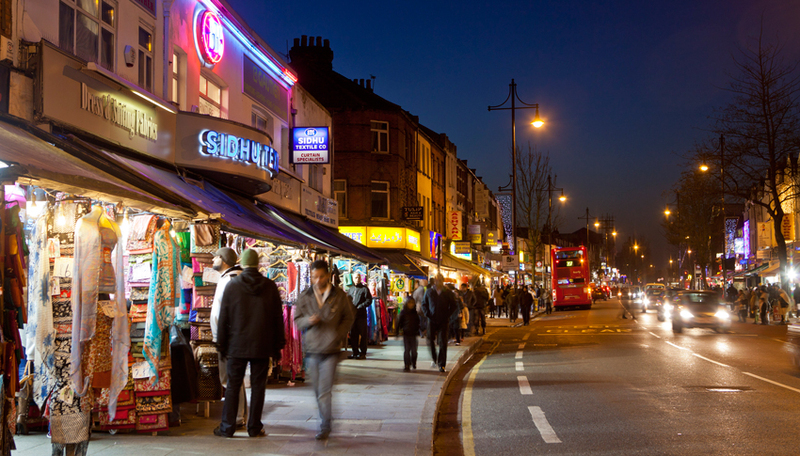 But in general, the study of Southall depends on what's interesting for tourist. If national zest is important, you just enjoy walking through the streets, having a rest in street cafes. If you want to explore the culture more precisely, you surely need conductors and guides, because the suburb is not just place of residence for Indians, today it is their land with its own history and traditions. 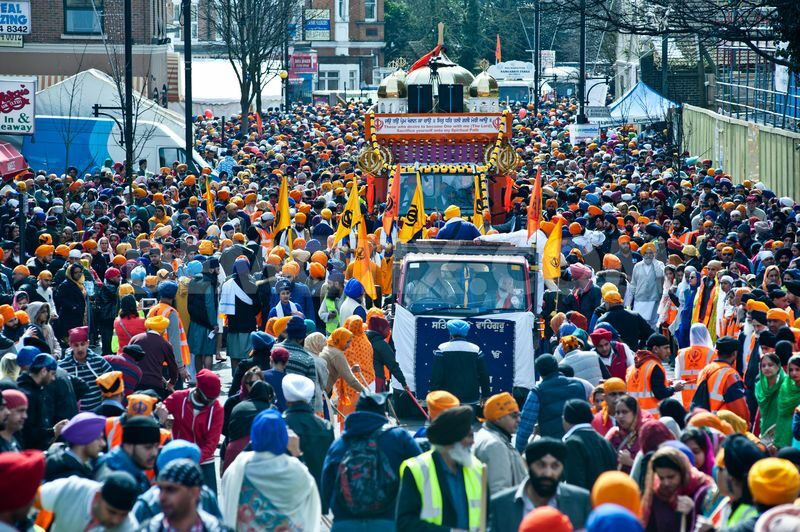 Officially Southall is a home for 100 thousand Indians. In fact they are two or three times more. Virtually all the illegal immigrants do not go beyond the suburbs, and they are in no hurry to become a part of British culture: among ten people maximum two can speak English. On every corner there is an agency for obtaining visa or at least a residence permit. Despite the fact that these are just one-day offices and they issue false documents, and almost everyone knows about it, number of those eager to get the cherished document is not reduced. Very often this London suburb is called "film site" since so many Bollywood hits have been filmed here, among them are "Goal" (2007) and "Patiala House" (2011). This is because if the movie requires to show both European locations and streets like Mumbai or Delhi, you will not find the better place: just twenty-five kilometres separate "typical" London from this one. Logistics is pleased. In general, the British residents who mostly moved out, got accustomed to the Indians, but Muslims, which in Southall is becoming more and more, are treated with caution. Police and guardians of order often have to go to the suburbs to solve ethnic and religious conflicts which often turn into bloody battles. These processes are reminiscent of the famous "Gangs of New York" in the 19th century, when commers fought for more rights to live in the Big Apple.